Sunday Evening: I wore this to a friend’s makeup launch party, Nadege Cosmetics (checkout the Facebook Page). I’m not going to write much more because as I was finishing up writing this post, I accidentally hit the backspace as the text was highlighted, and you can guess what happened next. Yes, everything was deleted! So since I’m sleepy and it’s already late, I’m not going to go into details about this look. Sorry, I do have a day job! Anyway, hope you had a good weekend. Thanks for reading. God Bless! 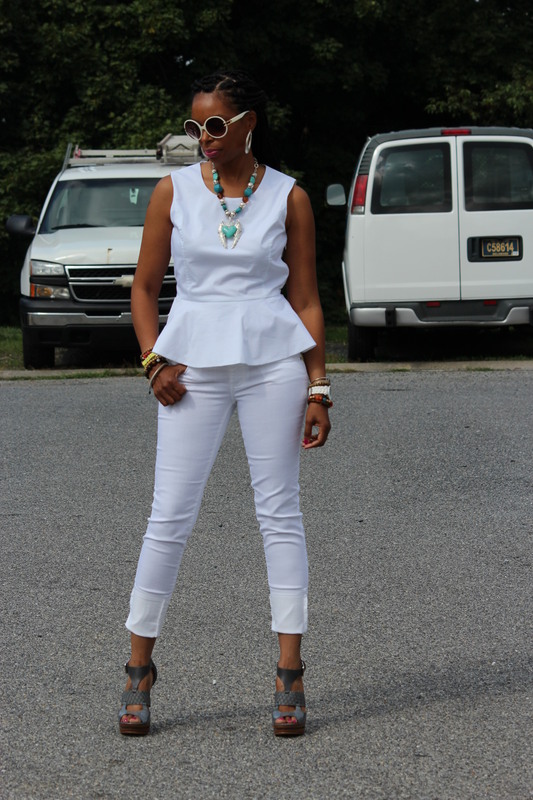 Sunday: I’ve been wanting to wear this peplum top that I bought like months ago when I also purchased these pants. I wanted to wear it as part of an all white ensemble so I chose these white jeans. I love the look of all white but am always a little nervous to wear it. I no longer have any small children that run their little grubby hands all over my pristine white, but any little smudge on white just ruins the look. But since I was going to church and there would be no chance of accidental dirt/food accidents, I was cool! Anywho, because the top flares at the bottom, I wore it with a more fitted pant. Some may choose to wear a peplum with a flared skirt or looser fitting bottoms but my taste leans more towards a more fitted silhouette on the bottom. 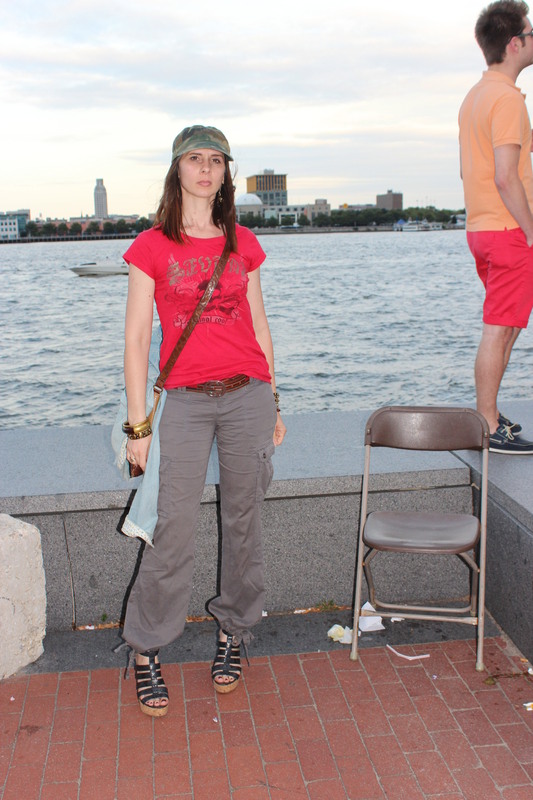 I just like how the flare of the top complements a more streamlined bottom such as a pencil skirt or these skinny jeans. But it’s whatever you like. Have fun and express yourself however you want. That’s why it’s called “personal style”. Anyways, I didn’t want to do white shoes too. I wanted the outfit to be more interesting than just all white, so I added these gray shoes. Even though they are a neutral and not a real “color”, they still pop with everything else being white. It just makes for a clean look. A little color in the accessories was all that was needed. Do you ever wear all white? Or are you nervous to white? God Bless! P.S. : I decided to do the throwback braids thing. Getting board with my hair and needed a change. 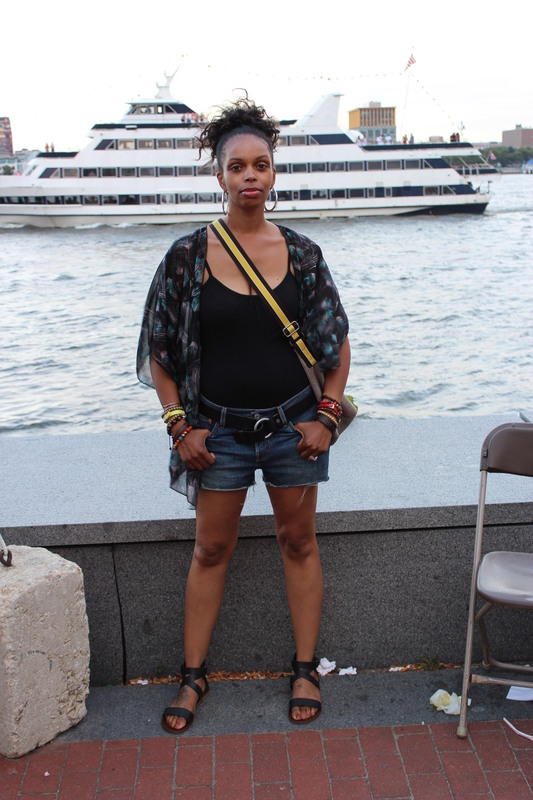 Plus a lot naturalistas say braids are good way to go while transitioning from relaxed hair. Now let’s see how long I will keep them! Sunday: Wore this to church. It was dress down day which was perfect because I had to go celebrate my nephew’s b-day with the fam (Happy 23rd bday to my eldest nephew!). I didn’t need to pack extra clothes to change into after church, as I would usually have to do. I was inspired by so many wearing camo at the festival and decided to pull mine out. I purchased these probably about 6 yrs ago (worn only once), when I also bought the tan ones seen here. I picked them up from the young men’s department because I liked how they are more roomy and slouchy then a woman’s pair would be. To make it more feminine and wore this peach cropped sheer top I picked up several months ago. The shoes I had since last year and this is my second time wearing them. No reason for the lack of wear because I really do like ’em. They’re Jessica Simpson, which I am quite fond of most of her shoes. I can always find a pair from her that I love and they are priced right and actually pretty comfy! The turband I actually bought to wear with something else but goes with the shirt perfectly! What do you think of this look? God Bless! 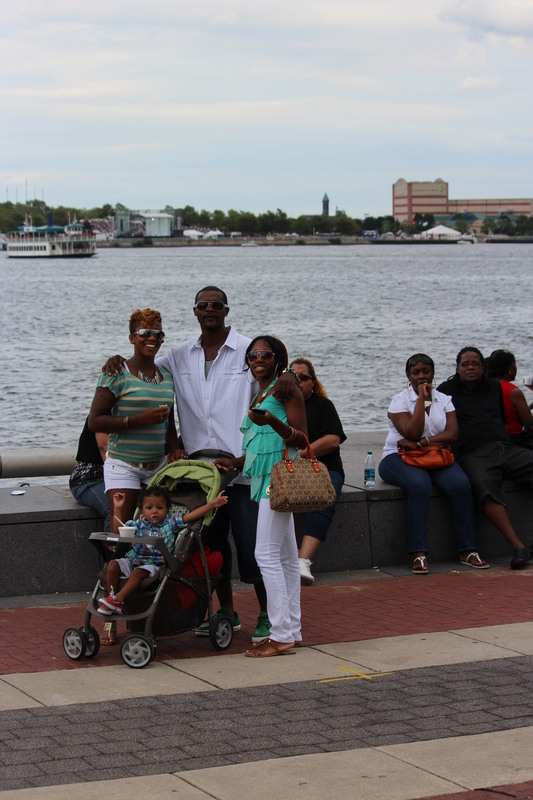 Saturday: Some shots from The Global Fusion Festival @ Penns Landing. I love going to events like this! 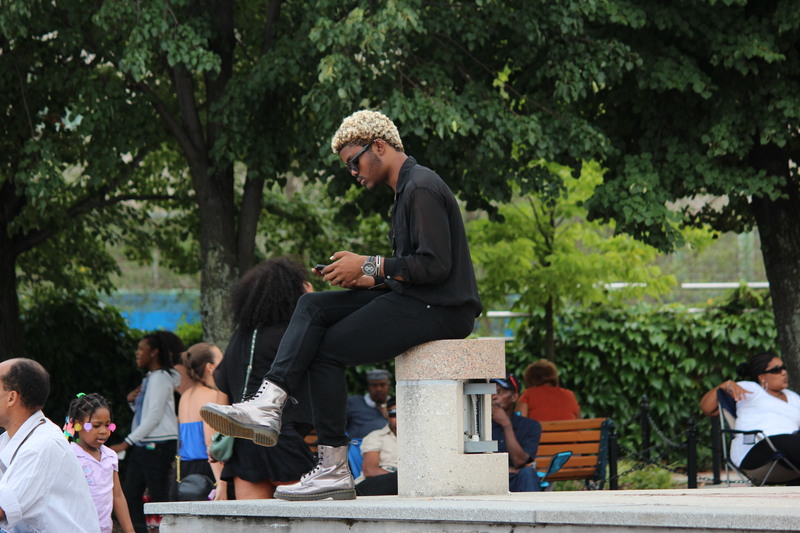 For me, it’s all about the people watching, checking out the various fashion choices and styles that people rock. I love it when some people are just so confident and comfortable with who they are that they wear whatever they want; no matter if it’s different than what everyone else is wearing or whatever. When people are not afraid of fashion and they just do whatever they want and whatever they feel at that time! 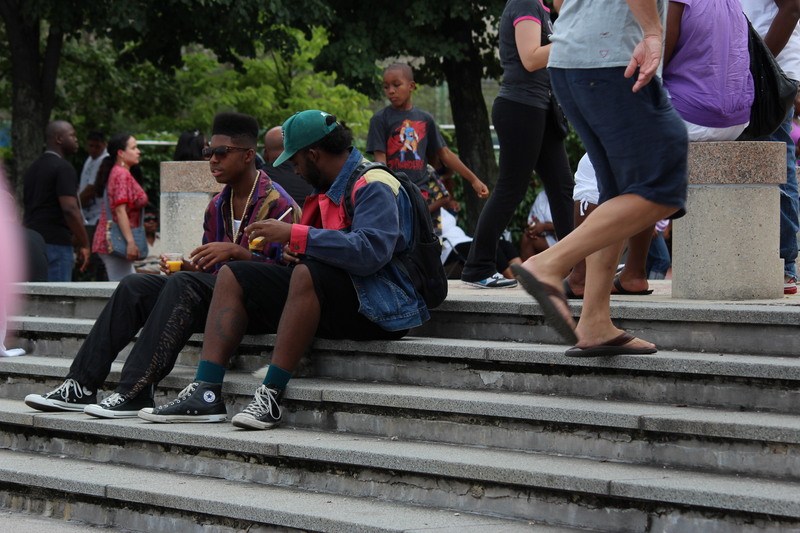 So we saw so many fashion risk- takers but a few of our favorites were the twosome who looked as if they stepped straight out of the 80’s (flat top fade; shag hair cut and all) and my favorite was kid in the green pants with the color shirt and red slip-on shoes. I loved his look! And he strutted his stuff around like nobody’s business! So confident! Love it! Even though Michelle called him Mr. Brown Jr., LOL! Oh yeah, the concert performers were Elle Varner, Kenny Latimore and Brandy. Very nice but couldn’t see a thing because we weren’t there all day like the ones who had front and center views. But that’s ok, the music was great! 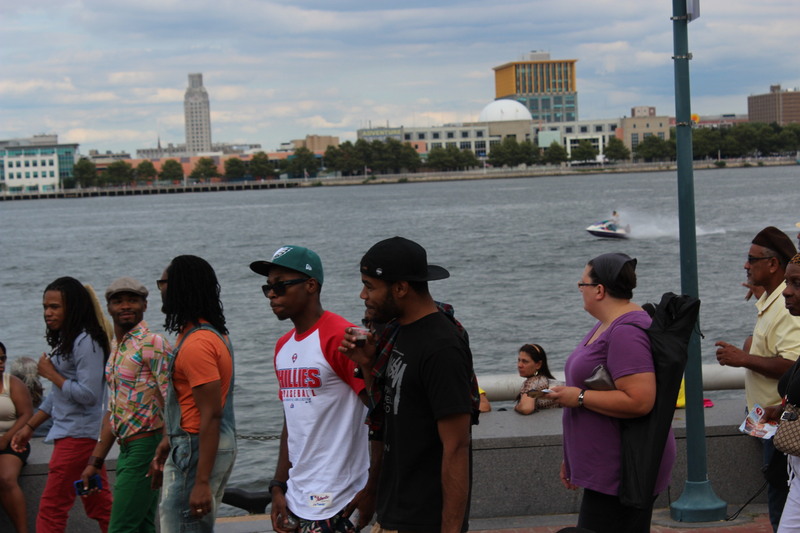 And no guilty, suspiciously sneaking around people confronted me about randomly taking pics like last year. Today was a good day (in the words of Ice Cube)! Thanks for stopping by! God Bless! 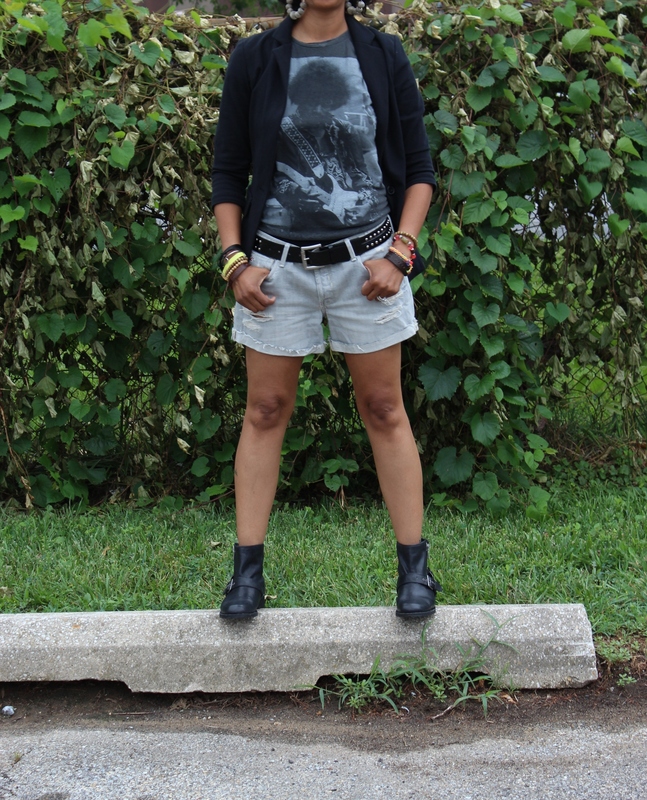 Friday: I wore this laid back rocker style outfit to run around doing errands. It was warm enough for the shorts (my legs don’t really get cold), but also cool enough to wear this blazer and rock my motorcycle boots. 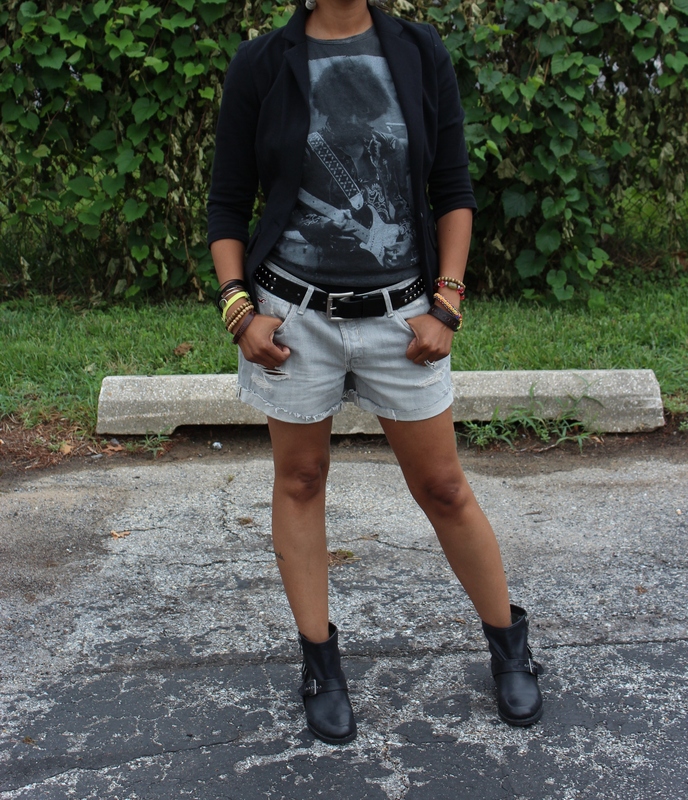 I love this “vintage” Jimi Hendrix tee. It’s so soft and worn out just like it was from many years ago but I’ve only had it for about 6-8 yrs ago instead of 25 years ago. 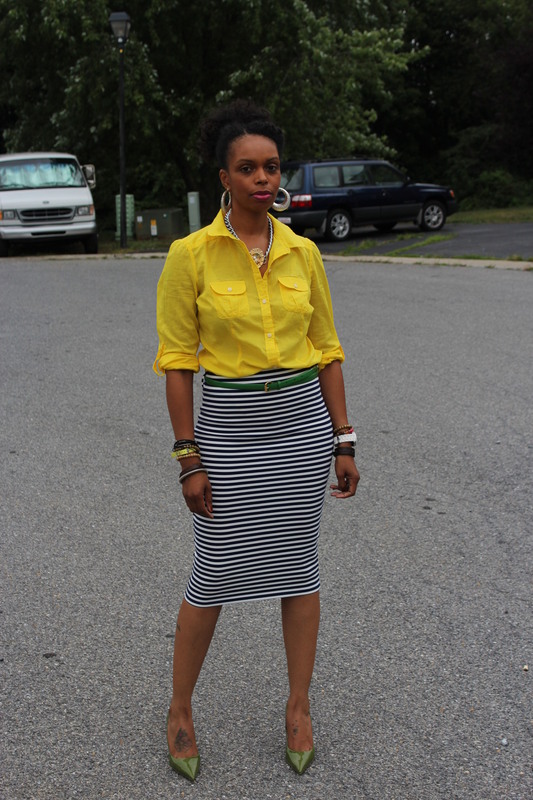 Later that evening, I had an event to go to so I changed into this striped pencil skirt ensemble. I bought this navy/white skirt as well as a red/white one. I love the fit and it was very comfy. Other than the fact that I could barely go upstairs without a hop, it was all good! I decided to add a bit of color instead of keeping everything navy/white so I thought the yellow would pop nicely. Then I remembered I had purchased these shoes a while ago but hadn’t worn them so they added a little more interest to the whole look. So there you have it! God Bless! Sunday: So I’m just now posting these pics from this past weekend. I was trying to decide if I wanted to upgrade space or just start continue erasing pics from my old post (and then just got too lazy to upload pics; posting during the week is not my thing! Too tired from work!). Well, for now I decided to just erase pics from my old posts. I figured I would just delete a few from each post from last year. I don’t think it really matters but I don’t believe anyone will even go back that far to read those posts. If people do like I do when reading blogs, they will just look at the most recent posts, maybe only a few months back. So for now, that’s what I’m gonna do! Anyways, this is what I wore to church. 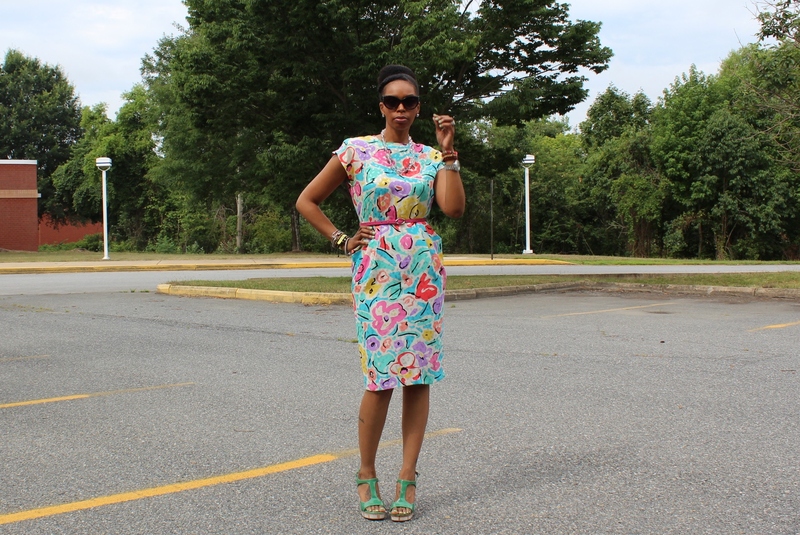 I picked this dress up last year while thrifting. 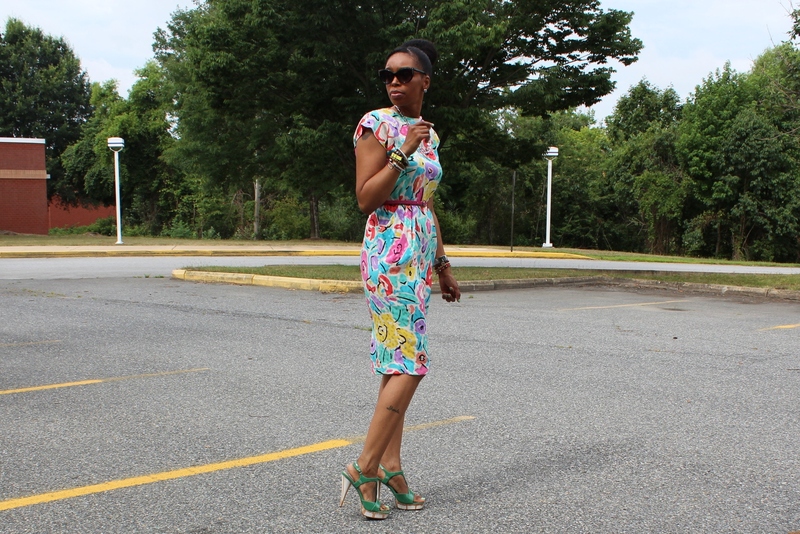 I was attracted to the bright colors and liked it even more when I tried it on. I chose to pull the green from the dress to play off with the shoes. It’s hard to see the green color in the dress but it’s there (not exactly the same green but works for me). Not as prominent as the other colors but I like the shoes with it anyway. Speaking of the shoes, I bought these several years ago, probably at least 4 yrs ago from the now defunct “Footprints Shoe Store”. I told you about that store a few posts back. Michelle and I both bought these shoes, but Michelle also got them in yellow. The yellow would of really popped with this dress! Sorry so late with the post, but thanks for reading! God Bless! Friday: Wore this even though it was gonna be hot outside, I had to be in a very cold building for a few so I wanted to be warm and comfy! I bought this shirt about a year or so ago. I liked the navy and black combo. Most people don’t think you can pair blue and black together, but I think otherwise. Not with this shirt, but navy and black combo is very chic! I love the slouchiness of the shirt and also the sheer sleeves. I guess it’s like a t-shirt that could be dressed up or down. I like the fit of the jeans. Close fit but not too tight. I picked these up along with about 9 other items, shirts and jeans. TJ Maxx had a bunch of Zara pieces on their clearance rack and I scooped up plenty. I actually got over $400 (retail price) worth of pieces for under $90! Most of which was paid for by a gift card that I received from my employers (just to show how much they appreciate me! They are the best!). Anyway, you’ll see some of the other pieces in other posts. God Bless!